Nutritionists talk about blood sugar, hypoglycemia, and the impact they have on our health all the time. But what do all these terms mean? If you don’t understand them, then there’s no point in going into more detail before you do. All sugar is not created equal, and sugar is not necessarily just the table sugar we all know and may even love. The body breaks down foods into the energy we require. Some foods, especially if they are refined and processed, get into the bloodstream quickly, while others take longer to digest and are released slowly. When we choose foods that digest more slowly, like whole foods and complex carbohydrates, they enter the bloodstream over a longer period providing a more stable blood sugar level. Think of that as having more energy for a longer time. This allows us to reduce the chance of experiencing hypoglycemia. Hypoglycemia occurs when blood sugar levels drop too low and there is not enough energy available to our bodies. So what happens when our bodies experience hypoglycemia? There are numerous signs and symptoms of this condition, including, but not limited to: mood swings, irritability, nervousness, anxiousness, feeling faint, and unclear thinking. Does this sound familiar? Improving your health may be simpler than you imagine. Hypoglycemia is often linked to chronic illnesses such as diabetes, however it can also be linked to weight gain, and in turn, a variety of cardiovascular diseases. When the body is constantly under stress from trying to get enough sugar into the system, this can cause inflammation—research is showing that inflammation can increase the potential for a variety of chronic illnesses. Now that you know the basics, and the importance of understanding and controlling your blood sugar, making changes and understanding recommendations will be easier. 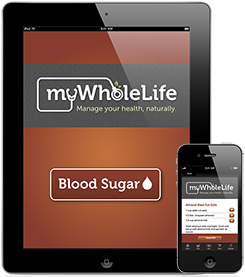 Stay tuned for more tips and recipes, and for support at your fingertips, wait for our Blood Sugar App launching soon!